Being out in the sun is wonderful, the warmth on your face and shoulders. Unfortunately, the sun is also damaging, especially to your skin. Sun exposure is one of the main culprits that can lead to lines, wrinkles, and other early signs of aging. Dr. Lynn Anderson at Midtown Dermatology in Tulsa, Oklahoma wants to help you protect your skin from the sun. It’s vital to stay hydrated when you are out in the sun, so drink lots of water. 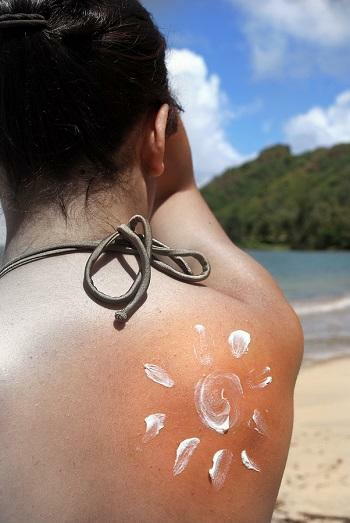 When you come in after sun exposure, use a moisturizing lotion or cream to keep your skin soft. Fine lines and wrinkles are just annoying, but discolorations and moles can be something more serious. You should examine your moles on a regular basis because moles and other discolorations can be a sign of skin cancer. Remember that 1 in 5 people in the United States will develop skin cancer at some point in their lives according to the Skin Cancer Foundation. Protecting your skin from the sun is one of the most important things you can do to prevent premature aging or skin damage. For more information about sun protection, skin cancer, and other skin conditions talk with an expert. Call Dr. Lynn Anderson at Midtown Dermatology in Tulsa, Oklahoma today to find out more!